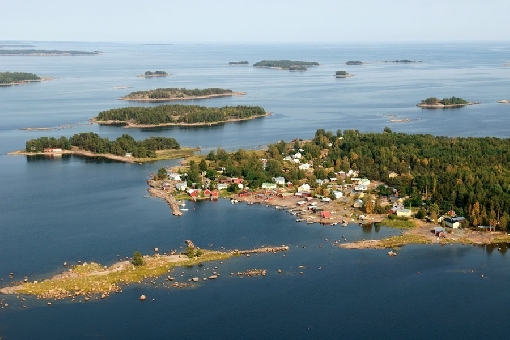 A view over the Hamina Archipelago in the Gulf of Finland. In Southern Finland, population centres and the urban lifestyle meet wild nature. Anglers can find destinations in the immediate vicinity of cities, thus being able to combine their fishing holidays with other tourist attractions and cultural opportunities. The South Coast has a comprehensive network of fishing guides and easily accessible fishing grounds. Here you can find urban environments, a wide variety of services and opportunities for shopping, while still being close to the countryside, with the wild nature of the national parks within easy reach. The region is home to four of Finland's five largest cities – Helsinki, Vantaa, Espoo and Turku – and about half of the population. 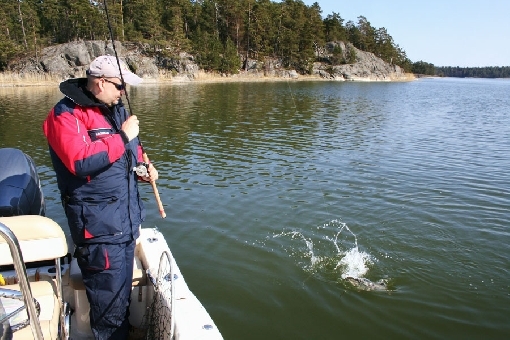 The Gulf of Finland is a diverse playing field for fishing different species − pike, zander and perch as the main game species. Half-kilo perch strike jigs voraciously on the edges of shallows and in rapid-flowing sounds. 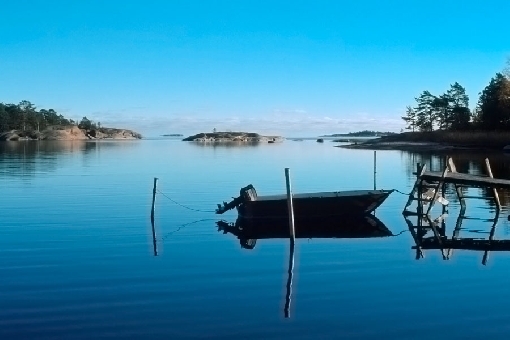 In terms of fishing, the most significant area in Southern Finland is the Baltic Sea Archipelago. The archipelagos of the Archipelago Sea and the Gulf of Finland form the largest archipelago area in Europe. The area, shaped by tens of thousands of islands, provides opportunities to go after freshwater fish in a marine environment. Baltic Sea waters are brackish and game species also include sea fish, such as flounder. 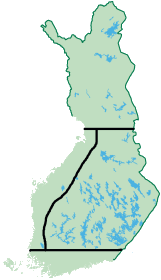 The most extensive island areas are the Turku, Tammisaari and Porvoo Archipelagos. Several population centres in the Turku Archipelago, such as Kemiö, Kustavi and Nauvo, are located on islands. There are enormous numbers of small islands and rocky islets in the area. The number of islands in the Gulf of Finland also runs into the thousands, but the insular belt is narrower. Most islands are uninhabited and there are few cottages. Within the shelter of islands, waves are usually low. With its breathtaking beauty, the Archipelago provides anglers with endless opportunities. There are enough new spots to keep you busy every day of the year. Unfortunately, one lifetime is not enough to test all the hot spots of the Archipelago. The region's strong stocks of pike, zander and perch enable year-round fishing. This is the region with the highest amount of pike weighing over ten kilos. Other game species include whitefish, burbot, sea trout, Atlantic salmon, Baltic herring and various cyprinids. The Inkoo Archipelago is a great pike site. 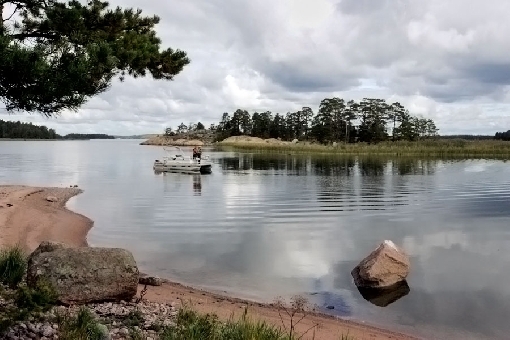 There are plenty of small lakes within the region, The largest being Lake Lohjanjärvi in the Western Uusimaa sub-region, which is also the most significant in terms of fishing. It is especially known for its zander. Other large lakes include the limpid Lake Kivijärvi and the deep Lake Vuohijärvi in the Kymenlaakso Region, renowned for its big salmonoids. 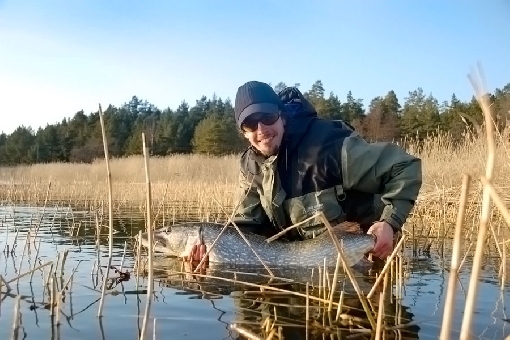 Many small lakes in Southern Finland are locally significant fishing grounds and known as great zander and pike waters. Small lakes are excellent for angling with a hook and line thanks to their generous roach and bream stocks and strong perch stocks. River Kymijoki is the most popular river fishing site in Southern Finland. 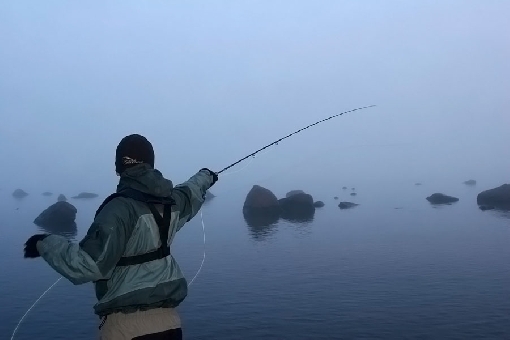 River Kymijoki provides good odds of making a catch and it is an easily accessible river fishing site, where anglers can go after salmon, sea trout, rainbow trout and whitefish. River Vantaanjoki, running through the Helsinki Metropolitan Area, is a popular fishing site. There are many small, idyllic rivers in the area, meandering along amidst the scenery. Great sites include River Fiskarsinjoki, the Latokartanonkoski Rapids in River Kiskojoki, as well as Rivers Karkkilanjoki, Aurajoki, Laajoki and Mynäjoki.